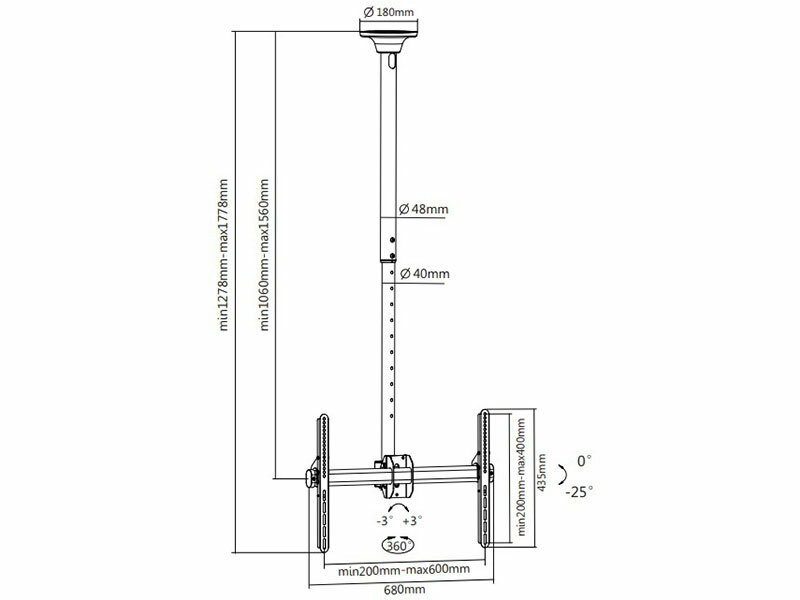 SWEDX Ceiling bracket for TV/Monitor 32-65 inch. Max 50 KG. Max 600x400m, tilt 10°. Height 1060-1560 mm. Black Strong ceiling bracket with many adjusting possibilities for larger TV/monitor. 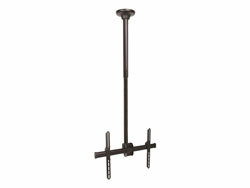 Pipe diame..
Strong ceiling bracket with many adjusting possibilities for larger TV/monitor.